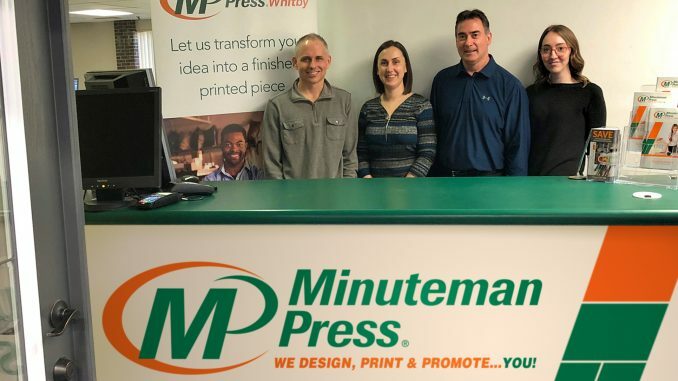 WHITBY, Ontario, Canada – Before opening his Minuteman Press design, marketing, and printing franchise six years ago, Mike Vieira did not have experience running a business. He discovered that Minuteman Press franchise owners overcome those learning curves thanks to the steady training and support that his franchisor provides. While Mike had experience in printing, he was able to meet with the industry’s finest minds during Minuteman Press training and get a fresh look from new angles. He came out ready to run a digital print, design and marketing center and the plan is working in Whitby, Ontario. At Minuteman Press, We Are The Modern Printing Industry™ providing high quality products and services that meet the needs of today’s business professionals and go way beyond ink on paper. 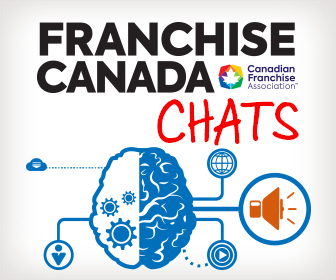 Today, our franchises offer innovative branding solutions and produce custom designs, promotional products, branded apparel, direct mail marketing, large format printing (banners and posters), signs and graphics, and much more. Prior experience is not necessary to own and operate a successful Minuteman Press franchise.